Last week I completed the final program in a series of digital storytelling pilot programs at the Children’s Discovery Museum of San Jose. We are planning an ongoing set of programs (perhaps once or twice monthly) which will be sponsored by Bookboard. I’m working with Bookboard to both manage their library (traditional librarian stuff like weeding the bad stuff and acquiring more of the good stuff) and also experimenting with using their platform as a storyteller’s tool within libraries and/or other institutions that provide early literacy programming. I’ll post promo materials etc once we have our next steps all figured out. Trust me, it’s worth it for the learning experience, and they may even have a better storytelling facility than yours. Bust your own paradigm and go to a kid’s museum. Tell them you’re a librarian, set up an appointment or informational interview with the director and ask for a tour of the place. Check out the Association of Children’s Museums, too; they have a lot of great resources for things like play spaces, interactivity, STEM, best practices and training. I had mostly young kids for these programs, so we slowed our songs down, repeated them more times and did 3 books instead of the 4 I had planned. 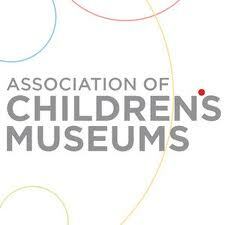 Posted on April 2, 2013, in Apps, Story Time and tagged Association of Children's Museums, Books on Screen, CDM. Bookmark the permalink. Leave a comment.